It’s as easy as one, two, three and four color! 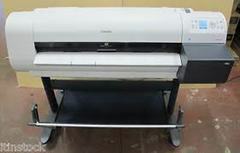 Our printing department is fully equipped and our staff has decades of experience. We can meet all your printing requirements, whether it’s quick or commercial, single color or full color, or it’s on plain paper or glossy stock. We have printed everything from business cards to books. Let us help you with your next project. We specialize in letterheads, business cards, envelopes, carbonless forms, brochures, newsletters, flyers, pamphlets, booklets, announcements, engagement-wedding invitations, presentation folders, or mailers. All are available in one, two, three or four color that can be selected from over 1000 custom inks from the standard Pantone matching system.